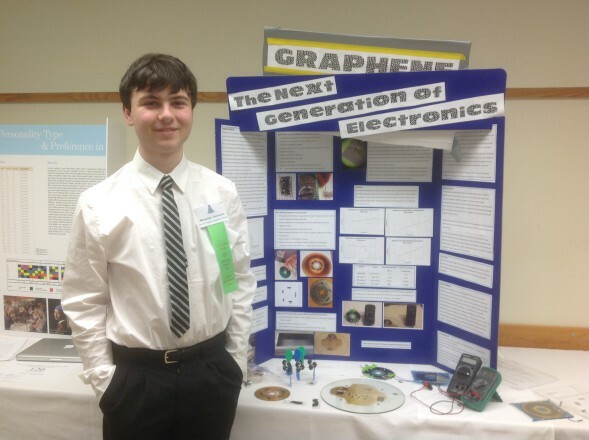 Alec created a captivating project on Graphene. Graphene is a new type of carbon lattice that is one atom thick and conducts electricity. Hopefully, it will one day form the base of flexible touchscreen devices due to its high capacitance. He won 3rd place overall and will be one of 7 representatives for Vancouver Island at the Canada Wide Science Fair in Montreal May 18-21. He also won the BC Young Innovator Scholarship and The top Senior Award from APEG BC.